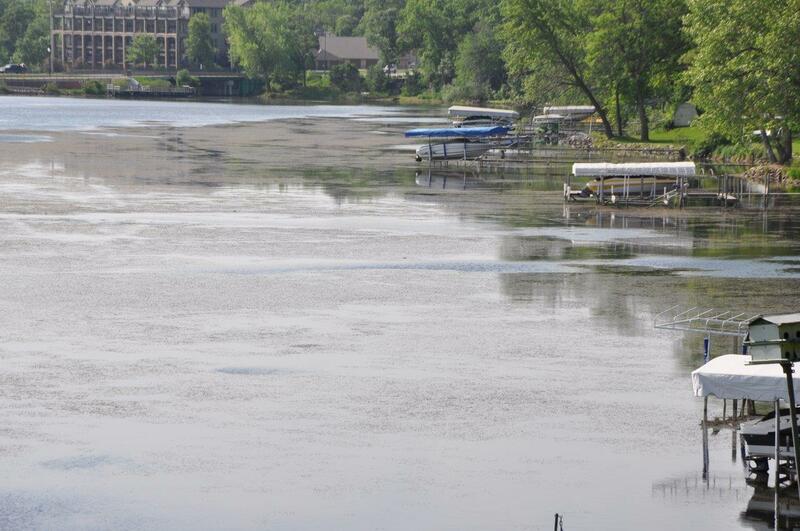 (Orleans)– Officials say it isn’t a question IF curly leaf pond weed will be back in some of the Iowa Great Lakes this coming season, but how bad it will be. Mike Hawkins, a fisheries biologist with the Iowa Department of Natural Resources tells KUOO news they know for a fact it’s already growing under the ice. Hawkins says they don’t know for sure yet if it will be worse than last year. Hawkins says they still plan to implement the same control measures that were proposed late last summer. They include chemical treatment of 10 acres on the upper end of East Lake Okoboji and another 10 acres on Lower Gar, along with some mechanical harvesting. In addition to a local harvester, Hawkins says they’re still hoping to bring in a second, larger one from Carter Lake, Iowa. Hawkins reminds lake shore property owners that not only is it dangerous to put chemical into the water to try to control curly leaf pond weed, but it’s also illegal. He says they can, however, mechanically remove it and other vegetation from around docks and boat hoists, as well as a 15 foot wide path to open water. On a positive note, Hawkins says the presence of the plants are an indicator of excellent water quality in the lakes. He says water quality is the best it’s been in the past couple of decades, based on monitoring results.